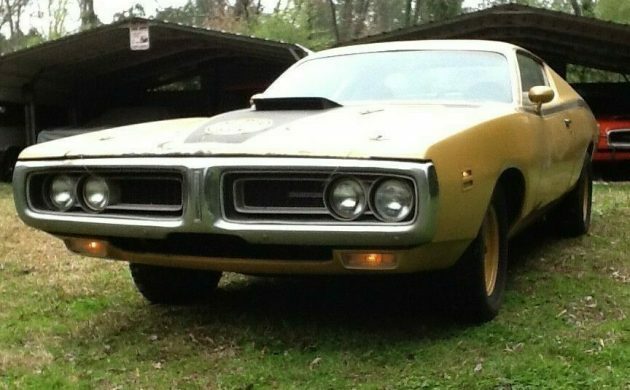 This 1971 Dodge Charger Super Bee is a running, driving example that could either be driven as it is, or the new owner could choose to restore it to its original glory. There’s some work to be done, but it looks like it might be a sound basis for a project. You will find it located in Haddock, Georgia, and listed for sale here on eBay. 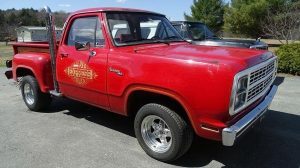 At the time of writing, bidding has reached $8,100 for the Dodge, although the reserve hasn’t been met. There is also a BIN option available of $15,500. The basics of the Dodge appear to be solid enough, although there are some issues to be addressed. There is rust around the rear window and in a few other spots around the car. It has also had a hit in the front corner at some point, and there is some filler in the edge of the hood. Probably the biggest area of concern is the fact that the inner fender has broken loose around the shock tower at some point in time, and has been rewelded. This is something that should be checked pretty carefully. Having said that, the owner bought the car like this in 2001 and has been driving it ever since. He says that it drives straight and true, and it has not been a problem in all of these years. This suggests that whoever performed the repair seems to have done a decent job of it. 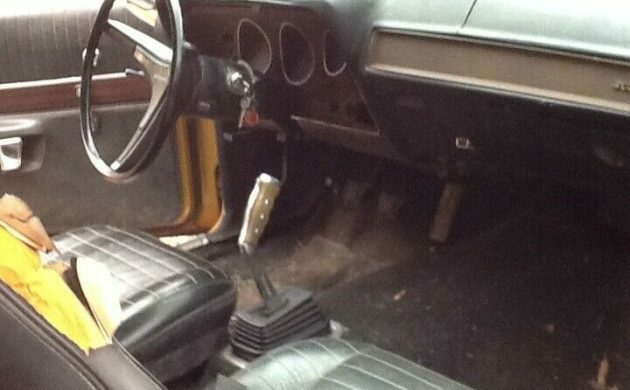 Apart from the missing factory radio, the interior of the Charger looks to be complete. The original factory gauge cluster with tach is present and looks to be in good condition. Likewise, that cool pistol-grip shifter also looks good. The interior will need a complete restoration, but at least everything is there to get you started. There are a few items that currently don’t work, including the wipers and the heater. The owner doesn’t mention any others, but these should be easy to fix if the car is destined for restoration. The news under the hood is both good and bad. The original, numbers-matching engine isn’t there anymore, but the original 4-speed manual transmission is. 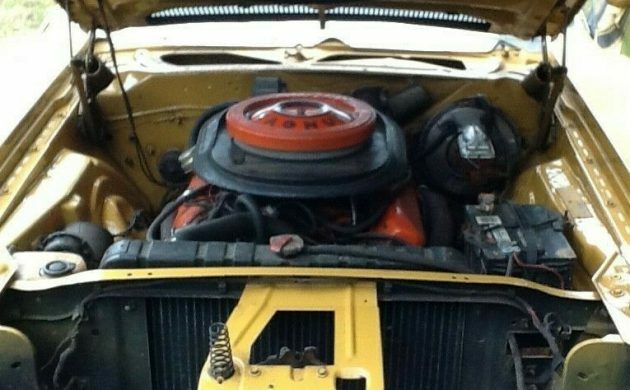 Apparently, the original 383ci V8 was locked when the owner bought the car, so he pulled it and dropped in a rebuilt 1970-vintage 383 in its place. It isn’t all bad, because he still has the partially dismantled original long-block, and this goes with the car. Maybe there’s still life in it with a bit of patience. 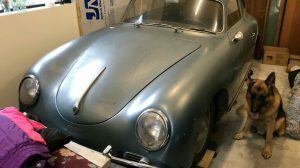 Recently the owner has replaced the brake calipers, brake hoses, proportioning valve, booster, the rear springs, tires, and the engine wiring harness. As I said earlier, the owner says that the car drives straight and true. 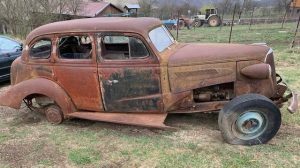 This is a car with some potential locked away, and there is also the possibility that it could be returned to a full, numbers-matching vehicle. 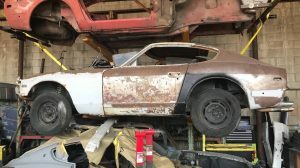 It could be a pretty tough car when restored, but is there a Barn Finds reader out there who is willing to take it on? I’d love to own an air grabber pistol grip Mopar. 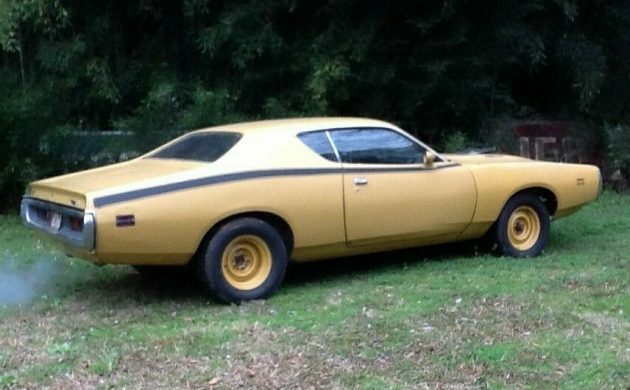 If I lived fairly close and was in the market, I’d make time to check this car out for a potential purchase. That would be a real trick. I could barely restore a car that was sitting on jack stands. We used to call them “rolling restorations”, which was short for “one breakdown ahead of the junkman” . Yep….someone ordered the last of them with some nice stuff – air grabbers are rare. Don’t know what color but I like it. 4 speed a plus. Tough looking car indeed, especially the shot from the front. If it’s all about driving save the original engine and just have fun with what its got. Leave the numbers matching stuff for when it’s time to make a trailered show queen out of it. That blue smoke. You know what works, other than new parts ? !…the Rislone ring restorer. Comes in a 2 bottle pack & I swear, couple of doses of that stuff & all is good ! Well at least every 200 mile or so. Nice ride hate the color but the garage was full of cool molars in the background!!! Any incisors in there with those Molars, TimM? 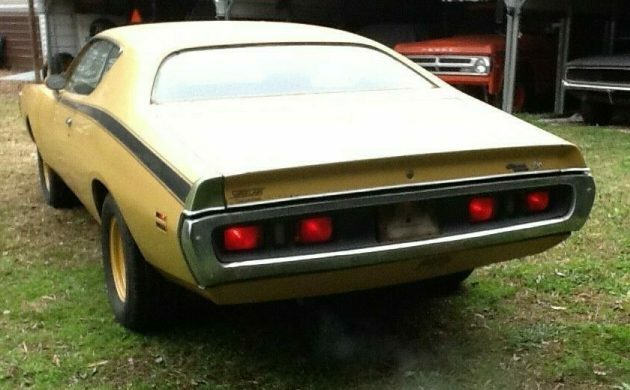 Why did they ever base the Super Bee with the Charger in the end?. Should of let it end with the Coronet, GTX, Runner body style. A bit of oil being burned by that “rebuilt” engine? Typo dude give me a brake!! How about a break instead. I’d blame it on auto-correct, especially on this site! There is nice metal left on this classic Mopar to work with,yes drive it and restore while exercising that pistol grip and watching the air-grabber breath! Looks like they are thinning the herd maybe more Mopars available! Happy Days for the new owner. I went to see this car since it was close and something my wife likes as well as I. Not disappointed at all , very solid car no rust on frame rails, smoke some have mentioned due to choke pull off a little sticky from not being used. Motor runs strong and sounds right. If it doesn’t sell before I sell my 67 Coronet R/T hemi 4 speed I would gladly take this project off his hands.